You want ’em? You got ’em! 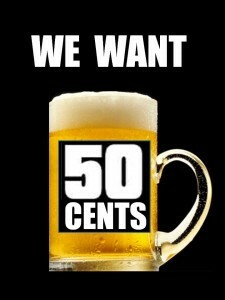 50¢ BEERS EVERY WEDNESDAY 9 – 10 PM!! Come down on Wednesday nights and have Suzi and Venessa serve you up cheap mugs of icy cold goodness. Happy Hump Day! Microbrews $3.50 ALL DAY LONG! 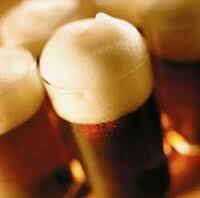 MICROBREWS are $3.50 all day, every Tuesday!! We have a predominantly Colorado-based tap, and are currently pouring the following brews: White Rascal, Avery; Mama’s Little Yella Pils, Oskar Blues; Bob’s 47 Oktoberfest, Boulevard; Unfiltered Wheat, Boulevard; Fat Tire, New Belgium; India Pale Ale, Avery; Karma, Avery; Milk Stout, Left Hand; PinStripe, Ska. 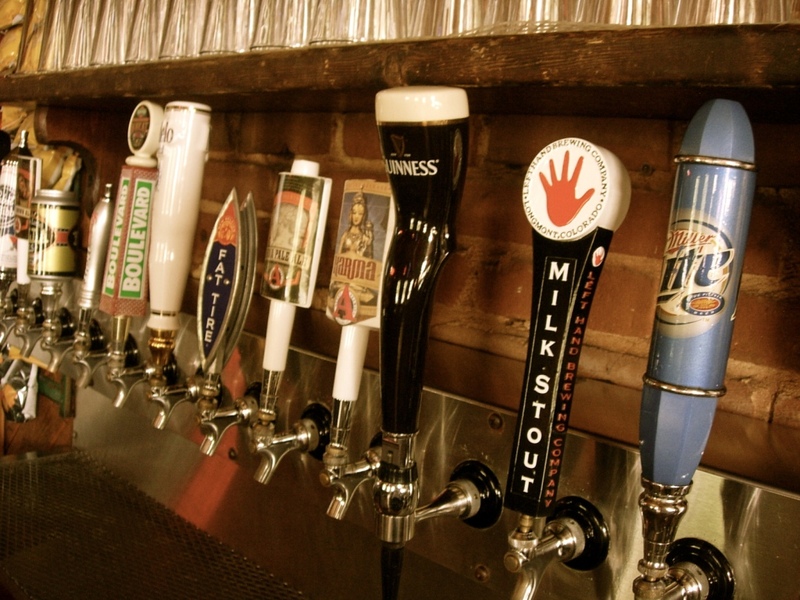 We also have the classics on tap: PBR, Coors LIGHT, Miller Lite, Modelo Especial and Guinness. My favorite pour right now is a Black & Tan made with Guinness & Bob’s 47. Try one today!! 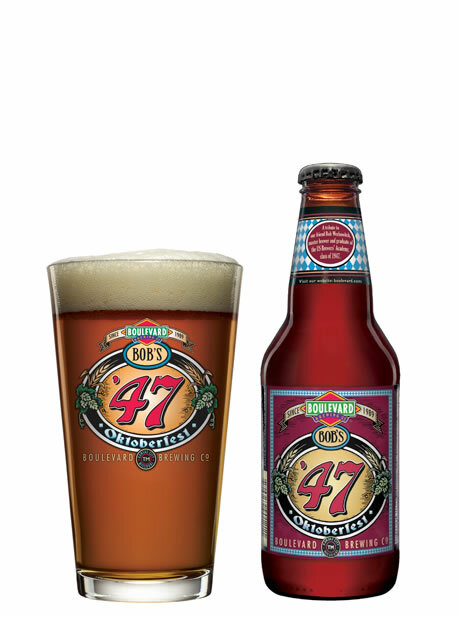 We’re gearing up for Oktoberfest with Boulevard Brewing’s, Bob’s ’47 Oktoberfest, now on tap. 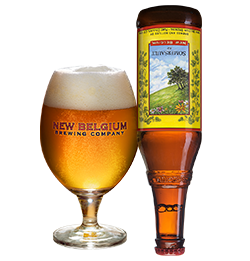 It is a medium-bodied, dark amber brew with a malty flavor and well-balanced hop character. Available September through October, and for $3.50 daily during Happy Hour from 4 -6 pm. See you soon for one more! Doesn't that look lovely? Now visualize it in a pint glass! It’s Monday again and time to get back to maintaining status quo for another week… until that quitter bell rings! 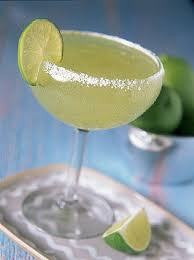 Then you can join up with the other fine folks at The Victoria Tavern for a $4 margarita, salt optional. Welcome Cyclists, Crews and Fans!! WELCOME TO SALIDA! The Heart of the Rockies! Get warmed up for the start of the 2011 USA Pro Cycling Challenge today with a bevy of drink specials. 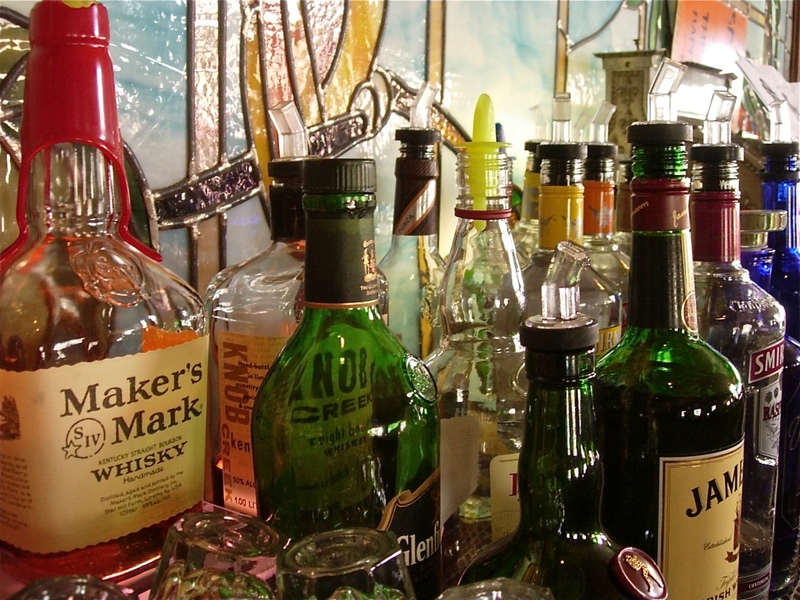 We’re featuring $4 MARGARITAS, $4 CALL, $3 GLASS of WINE, and $2 PBR PINTS. Plus, when the roads close at 4 pm, Happy Hour starts! See you soon! NOW ON TAP: WHITE RASCAL! We just tapped a fresh keg of Avery Brewing’s White Belgian Ale, White Rascal! and it is gooooooooooood! Come on down for a cold one! A truly authentic Belgian style wheat or “white” ale, this Rascal is unfiltered (yup, that’s yeast on the bottom) and cleverly spiced with coriander and Curacao orange peel producing a refreshingly fruity thirst quencher. Thirsty? Tonight and every Wednesday from 9:oo – 10:oo pm the lovely ladies of the Victoria Tavern serve up 50¢ brews! See you there! Somersault Ale was designed to be a fun roll around on the tongue while requiring only the minimum of palate gymnastics. In other words, this perfect summer lounge around beer is ridiculously fun and easy to drink. Even though the second Somersault goes down as effortlessly the first, brewer, Grady, actually has quite a few remarkable notes at play in the nose, flavor and mouthfeel. There is an opening brace of citrus aroma from Centennial hops, a soft apricot fruitiness tucked into the flavor, a fresh snap from a sliver of ginger root, finished with oats in a long cool mash. Color is blonde with a suggestion of cloudiness. Somersaults all around! Hops: Centennial = medium intensity with floral and citrus tones. Very balanced hops, sometimes called super Cascade.